Heraldry: Look! It's France! Wait a Minute. No It Isn't. Still wandering about the streets of Arras, France (You can walk down a lot of streets if you just get out there and do it!) 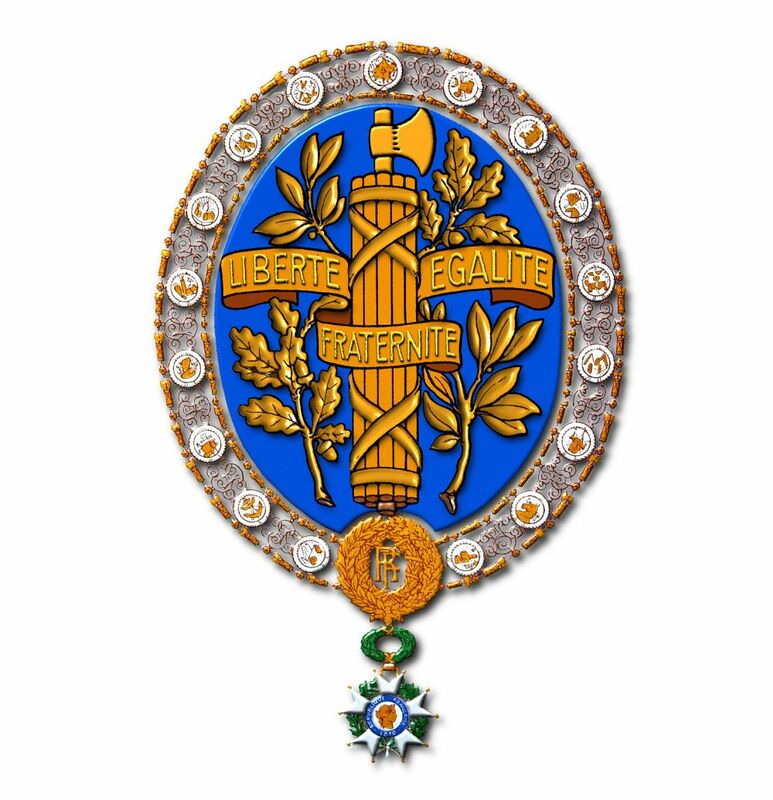 I ran across this image shining golden in the sun that I took to be the seal of the French Republic. Liberty seated, resting her left arm on a ship's rudder and holding a fasces, the symbol of strength in unity, in her right, and surrounded images of the agriculture and industry of the Republic, underscored with the phrase Republique Francaise. So, the one I found is not France, though it shares some of the same symbols as the official arms/logo/seal which was used unofficially from 1905 and is used officially from 1953. Proof once again, if further proof was needed, that it pays to do your research and double-check things, because what you see may not necessarily be correct.